For many years now I've spent hundreds of hours editing WhatGear videos using my trusty old Ikea chair. So I finally decided It's time for an upgrade. I have done research into the best gaming chairs right now... and the name SecretLab Chairs kept on popping up. So of course you know I had to check it out the Secretlab chairs for you guys. I decided that the Secretlab Titan Ash colour would be my throne of choice. I must say I'm not disappointed with my choice at all. 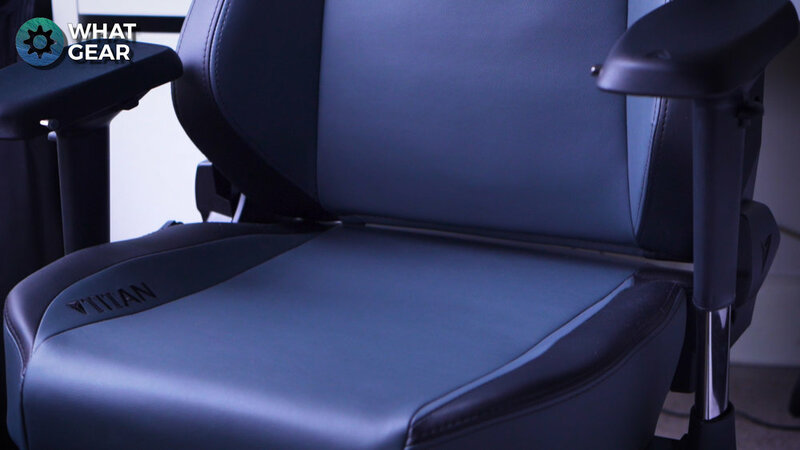 The attention to detail on this behemoth of a gaming chair is truly impressive. The premium stitching of the logos and titles are very well done. I just love the Tesla looking T for Titan Logo in the center and the Secretlab chair logo across the top and back combined with the Prime PU Leather gives it a very premium look. The Titan variant of Secret labs chair has actually been designed for the slightly wider set end user. No pun intended. The Secretlab Titan’s base is slightly wider and the armrests are slightly further apart than that if the Secretlab Omega. Also, the max weight that the Titan can take is higher than the Secretlab Omega range also. That's not to say that if you a slightly slimmer you shouldn't consider the Titan gaming chair. I'm quite slim & I chose the Titan not because of my size. I actually chose it because I prefer flatter base, as opposed to the bucket racing seat design. All the materials used on the Titan are premium. Everything from the ADC12 reinforced Japanese aluminum to the Cold-cured high-density foam, and the incredibly strong carbon structural steel foundation. Even the armrests are awesome. They are made up of a rubberized material with the Secretlab logo imprint. A nice touch. When it comes to using the Titan day to day there are a bunch of controls. The tilt mechanism is placed perfectly on the right-hand side of the chair. Easily reachable without looking & allows you to almost lay flat. The buttons to raise and drop the armrest are also perfectly placed & easy to use. The armrest has a bunch of adjustments, inwards, outwards, straight forward, up & down and they even move forward and backward and even side to side. Under the base of the chair are two levers. One that will allow you to raise and lower the chair with its Class 4 heavy-duty KGS gas pistons. The other lever allow you to adjust the tilt freely and lock it in if you want. Also this something that's really cool. The Lumber support adjustments are built right into the chair, and It's got this really nice dial on the side to control it. The PU-Leather looks just like the real deal & I heard Secretlabs have stress tested this material with a 200,000 cycle abrasion test. So I'm pretty confident my usual jeans aren't going to scratch the surfaces. All the controls are well built and don't feel like they are going to snap off after prolonged use. The weight distribution is perfect, even when you lean back as far as the Titan will go, you will never feel like it's going to flip over. it's convenient because my name begins with T... Which makes the T at the center of the chair perfect it even more perfect for me. And it kind of looks like the Tesla T.
The soft touch velour pillow adds to its comfort. You could quite easily fall asleep on this thing. The built-in lumbar support is really great as you don't need to mess around with a separate attachment. And just the overall premium build makes this, in my opinion, one of the best gaming chairs on the market. 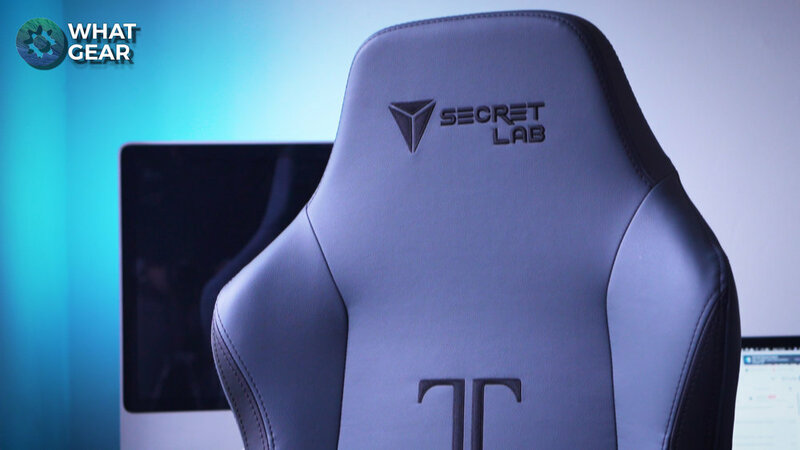 You can check out the current price of the SecretLab Titan gaming chair here.